Apple’s acquisition of Beats may be about to finally spawn the first set of headphones that are dual-branded by the two firms, with new FCC paperwork popping up that appears to show a new wireless version of the popular Beats by Dre Solo2 headphones. 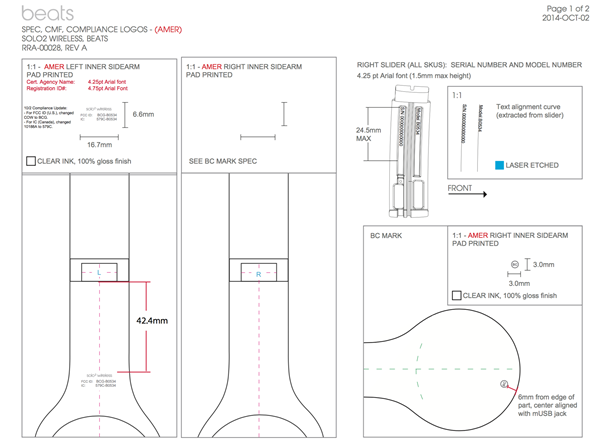 Revealed by the FCC’s testing department, the documentation shows what seems to be a Bluetooth 4.0 Low-Energy-enabled Solo2 part with the current wired Solo2 proving popular in its role of the cheaper alternative the the pricey Studio line that has helped make the Beats logo so iconic amongst people of a certain age. Believed to be identical to the current wired headphones, the new wireless Solo2 headphones are likely to be somewhat on the expensive side if the current Beats wireless units are anything to go by. The most interesting part of all this though is the fact that this is the first Beats product that even mentions Apple. The FCC documentation indicates that the packaging that the new headphones will come in will feature Apple branding, though it isn’t clear at this point whether the Apple logo will appear anywhere on the headphones themselves. The days where Beats headphones have the Apple logo on one ear and the current Beats logo on the other may not be too far away, but we wouldn’t want to say that the new wireless Solo2 will be the first. At the moment there is very little we do know about the Bluetooth-enabled Solo2 headphones other than the fact that the FCC has been putting them through their paces. We don’t expect too much noise out of Apple when these things go on sale though, so keep your eyes peeled in case they start to slip through the net. 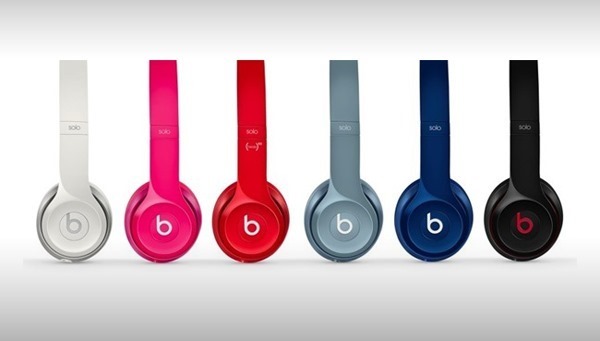 The original Beats Solo2 over-ear headphones were announced at the tail end of May and went on sale in June. They’re available in a variety of colors, and builds on the foundation of its predecessor, while at the same time, offers a new design which people would love. It’s interesting that Apple is finally making good use of its multi-billion dollar acquisition. Now let’s just hope that Apple does something about its rather mundane EarPods that ship with its iPhones and iPads. They do need a ‘Beats makeover’ don’t they?